You’ve probably seen some of the most famous ukiyo-e artworks, even if you didn’t know what you were looking at at the time. The word ukiyo-e means “pictures of the floating world,” a term popularised during a time of Japan’s rising middle class and popular culture growth in the 17th century. Many of these striking, dramatic images were carved into woodblocks, similar to stamps, so that the pictures could be reprinted again and again. Credit: This is the famous ‘The Great Wave Off Kanagawa’ by Hokusai from the ‘36 Views of Mount Fuji’ series, created in 1830. 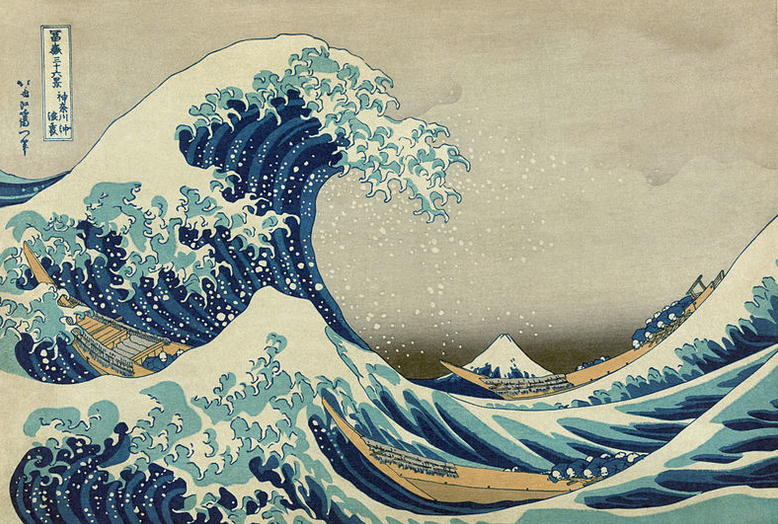 Ukiyo-e hit its artistic peak in the 1800s and transformed the global art scene in the 1850s when Japan opened its markets and shared its beauty with the world, after centuries of isolation. The art scene had never witnessed anything as identifiable and dramatic as the woodblock prints ukiyo-e depicted. The technique used in ukiyo-e inspired great western painters of the era with its bold lines; Vincent van Gogh was even an avid collector of ukiyo-e work. Originally made for mass production of art, famous ukiyo-e pieces now adorn walls not only throughout Japan, but the rest of the world too. Look around you, do you see any ukiyo-e? 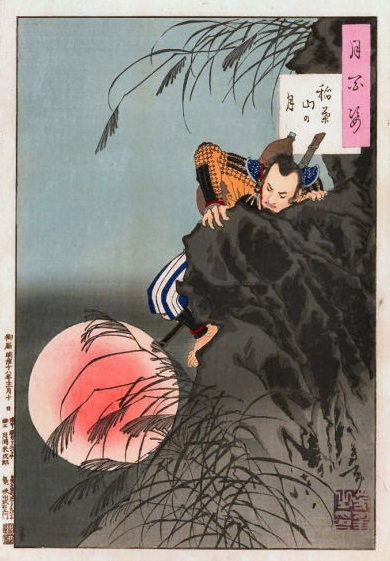 Credit: From a series called ‘One Hundred Views of the Moon’ this work by Tsukioka Yoshitoshi from 1885 depicts a famous historical event, as an unknown peasant rose to become warlord. 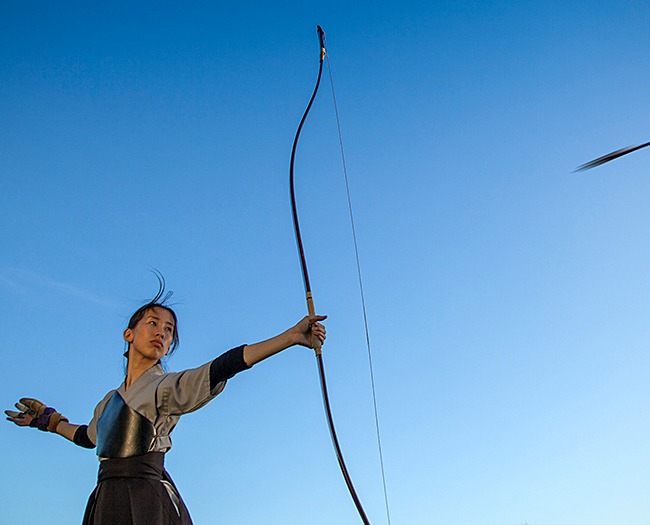 Creating a ukiyo-e piece takes teamwork. It is often created by a group of artists – one draws, someone else carves, and another person prints. Together you can create a unique piece, depicting something special in popular culture. The original ukiyo-e shared images of famous things at the time, such as beautiful geisha and important historical stories that were passed down from generation to generation. 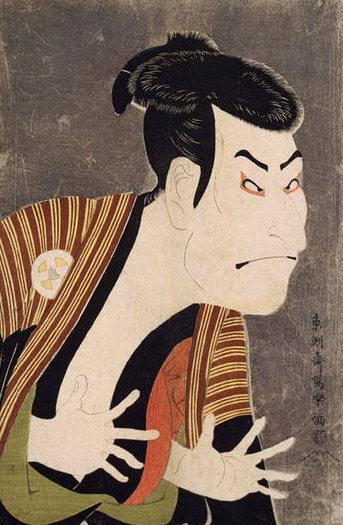 Credit: This is a kabuki (Japanese theatre) actor called Otani Oniji II, made by Toshusai Sharaku in 1794. Try creating a ukiyo-e with a few friends. You can make a piece as complicated or as simple as you like. It really is up to you. Once you have made your block print, you can then re-print as many times as you like. Don’t forget to share your special ukiyo-e piece with Artsmith! Use the form below or tag us @ArtsmithNY on Twitter, Instagram, and Facebook and use the hashtag #ArtsmithJABS. Tell us what you think about the blog series or send us copies of your work. We’ll check them out and maybe we’ll post them for others to see!